Find out why MyURemote is the most user friendly remote in the world. MyURemote is the perfect solution for your audio-video and home control. Create your own personalized, easy to use interface. Add recognizable labels to your Rooms, Inputs and Macros, so that buttons are familiar and easy to use. 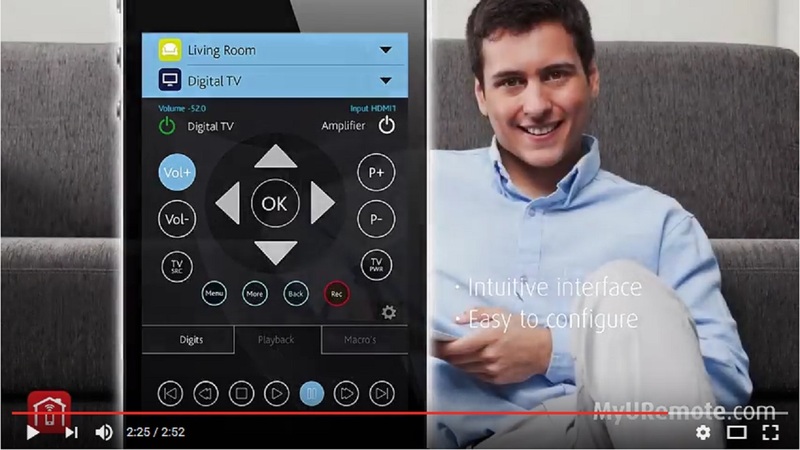 Integrate ALL your remote controls into ONE uniform lay-out. How to setup My Universal Remote Control App for Audio / Video? MyURemote direct network control ( IP control via LAN / WiFi ). How to create macro buttons? How to configure iPhone, iPad or Android for Bose Lifestyle? Find out how this app isn't like any other app. MyURemote is the perfect solution for your audio-video and home control. Check it out now! MyURemote forms a Strategic Alliance Partnership with Global Caché, the leading independent manufacturer of IP and WiFi connectivity products for the control and automation market. Get personal support from our developing team. Trust us to give full solutions for any issue or problem. MyURemote – Universal Remote Control App © 2019. All Rights Reserved.